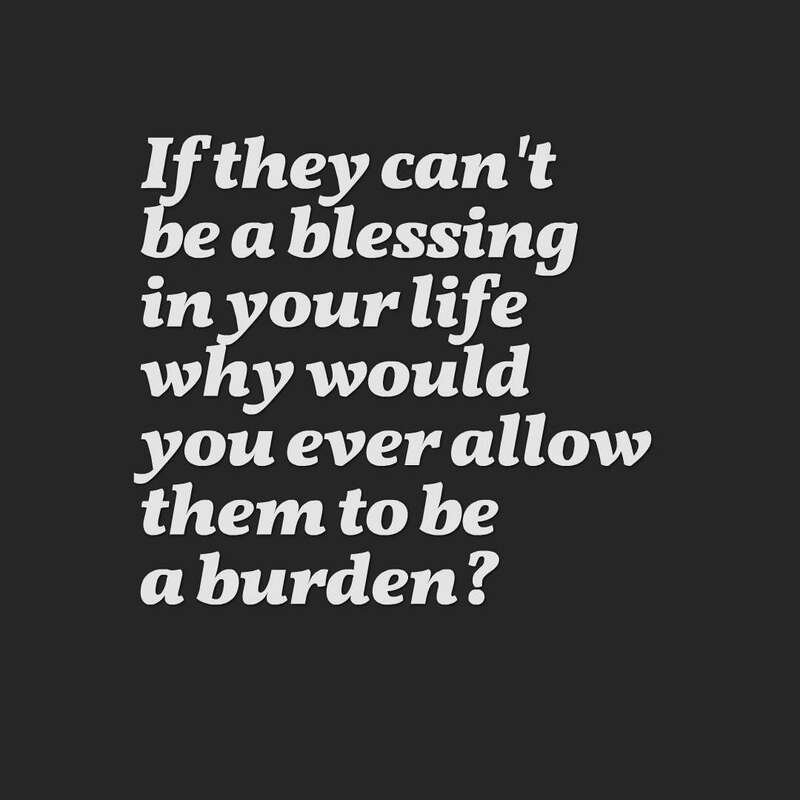 Some people in your life literally refuse to be a blessing and instead settle for being nothing but a burden in your life as if doing so is the sole purpose for existing. 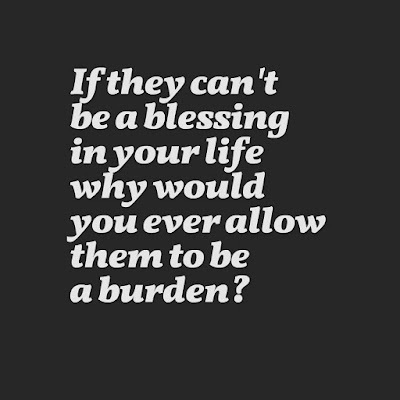 Well times up for people like that you will either be a blessing in my life or you will quickly find yourself cut out of it. The time of accepting burdens in the form of people has long past. Its time receive the blessings rebuke the burdens.